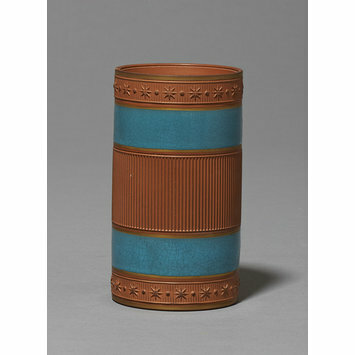 Spill-vase of unglazed red earthenware with relief decoration painted with light blue enamel and gilded. Cylindrical in shape with bands of vertical reeding separated by wide gilt-edged bands of blue. Round the top and bottom is a row of stars alternating with discs in relief. 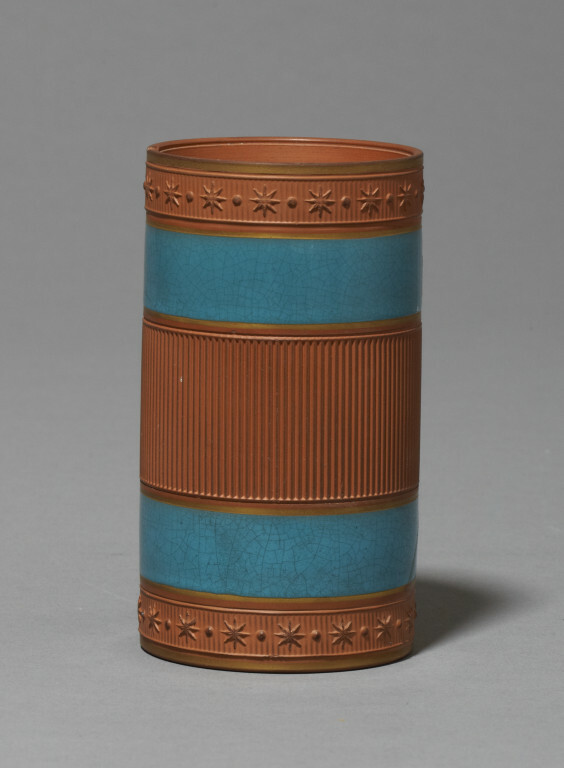 Spill-vase of unglazed red earthenware with relief decoration painted with enamel and gilded, made by Watcombe Terra-Cotta Co., Torquay, 1869-1876.